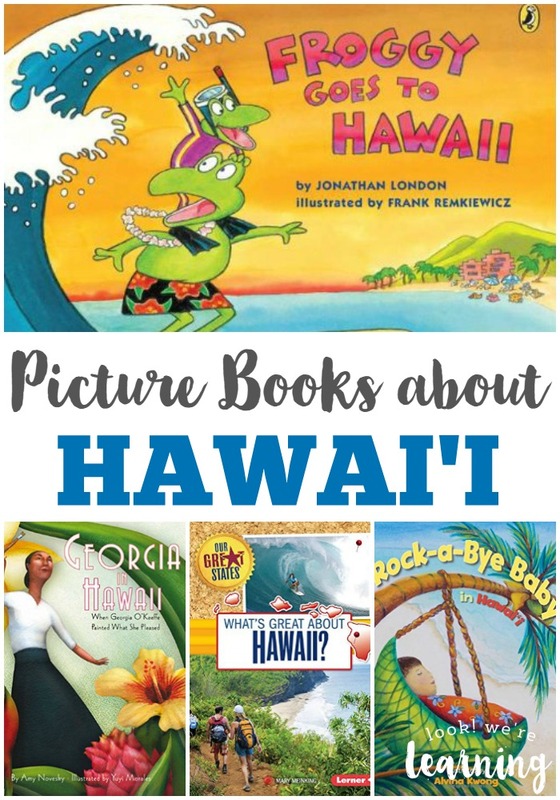 Picture Books about Hawaii - Look! We're Learning! My three-year-old has really gotten into reading lately. Which is a wonderful thing! She loves looking at pictures and tracing her fingers under the words. Of course, she’s making up her own story or reciting some from memory, but that’s okay. She’s pre-reading and I’m thrilled! We’ve been studying about the beach a lot lately, so I thought we’d take a look at a gorgeous book we received from my brother: Pulelehua and Mamaki. 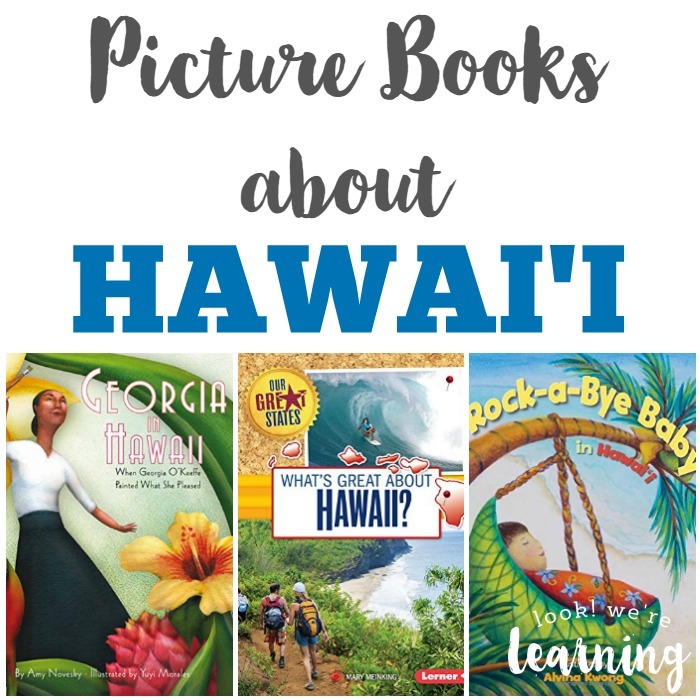 Since the story takes place on Hawai’i, I thought I’d round up some other beautiful picture books about Hawaii that are fun for kids to explore! Pulelehua and Mamaki is the story of a Mamaki tree that serves as the home to a Kamehameha butterfly named Pulelehua. A butterfly mother laid her egg on one of the tree’s leaves and that caterpillar grew up to become Pulelehua. Later, when Pulelehua lays an egg, she chooses the same Mamaki tree to watch over her baby. And when her egg hatches, grows into a caterpillar, and transforms into a full-grown Kamehameha butterfly, Mamaki the tree promises to watch over it too. It’s a truly lovely story filled with native Hawaiian terms and absolutely beautiful illustrations. As part of the Read Around the World Summer Series, I’m sharing my book summary below! Be sure to check out the wonderful multicultural kids’ books that have been reviewed this summer! 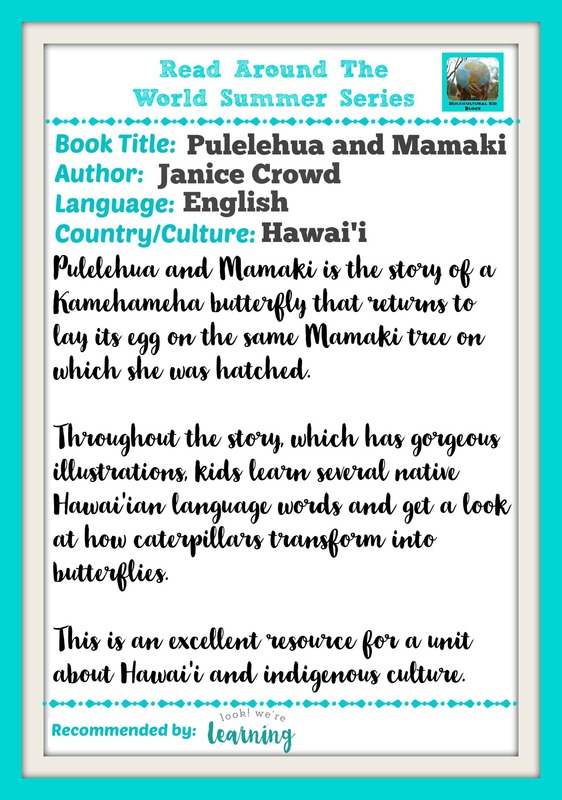 While I’m sharing my appreciation for Pulelehua and Mamaki, I thought I’d mention a few other picture books about Hawaii that are gorgeous for children to read! 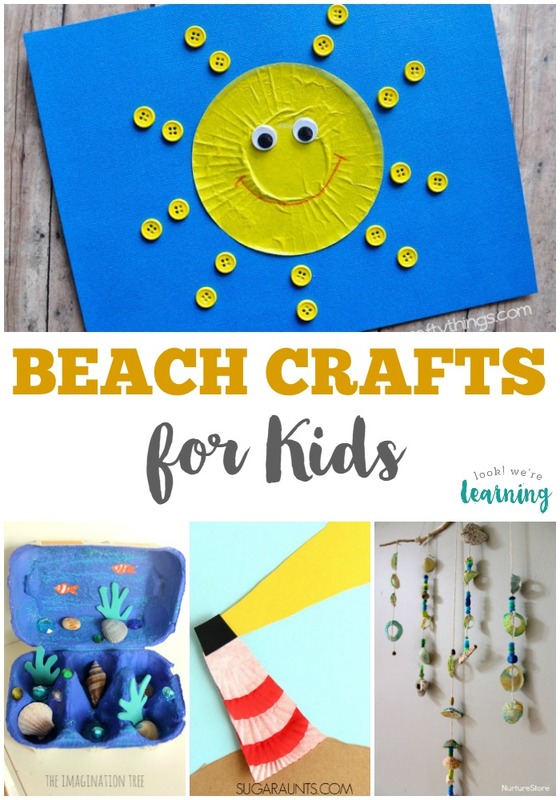 Want to spend more time learning about the beach with kids? 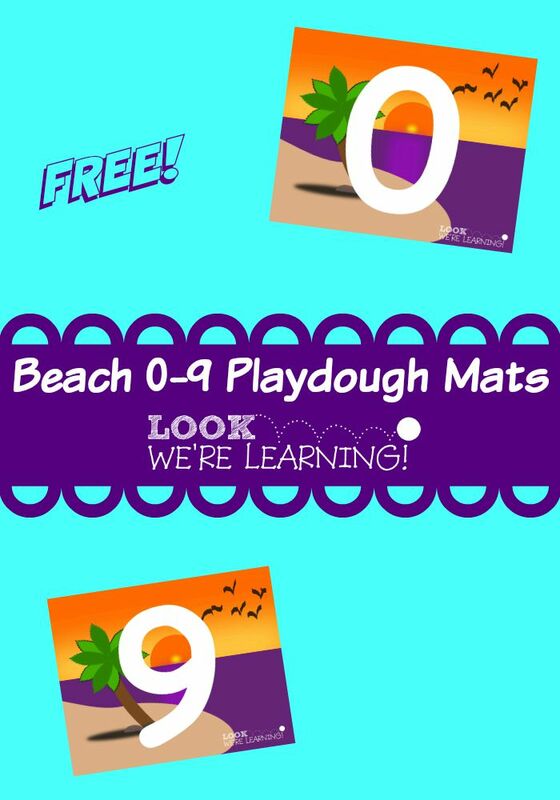 Try these learning ideas! 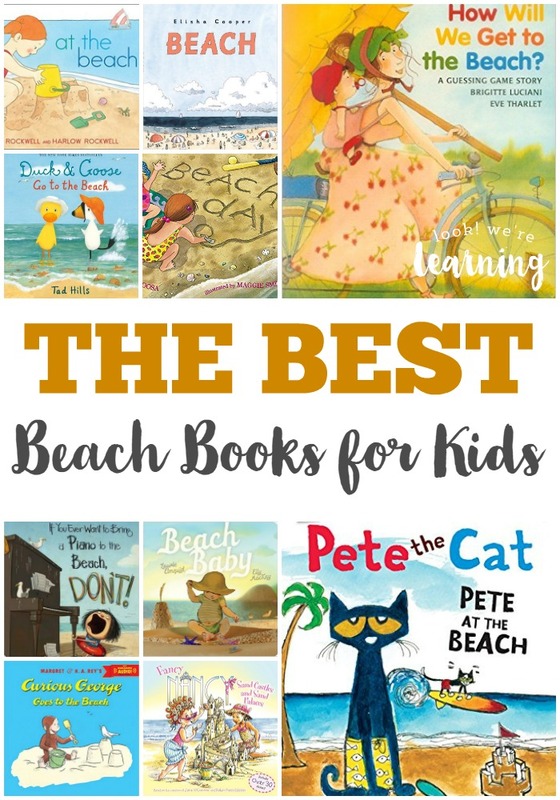 Get more ideas for making reading fun with my Reading for Kids board on Pinterest!